There is a standard admonishment stated at the beginning of every Major League Baseball game broadcast that all accounts, descriptions, etc., without the express written consent of Major League Baseball are strictly prohibited. Which means I can’t write about a particular game I attended, lacking, as I do, the requisite express written consent. Instead, I’m going to write about this year’s Oakland Athletics experience in general, having attended two games so far in this still young season. Both games I attended were Wednesday games with a 12:30 p.m. start time. Most weekday games are played at night so that people who work during the day can attend in the evening. The Wednesday games precede team travel days prior to a road trip. My work schedule having now changed, I am able to attend day games during the week and I promised myself I would go to as many of these Wednesday games as possible. There is nothing quite so indulgent as whiling away a few hours in the middle of the day, in the middle of the week, when so many others toil. It feels sinful, but I am going to get used to it anyway. The big news for the Athletics this year is not so much the team itself as the changes made to improve the fan experience. You might ask what could improve the fan experience when the Athletics home field occupies the Oakland Coliseum, known by fans throughout baseball as one of the less desirable stadiums. There are some reasons to think that. The Coliseum was completed in 1966. It is also a duel use stadium. In addition to the Athletics, the Oakland Raiders also play home games there, for the time being (more about that later). Also, despite the age of the stadium it does not have the sort of legacy, or shall we say “vintage” appeal of places like Fenway Park in Boston, or Wrigley Field in Chicago. So, it’s old, but not old enough or quirky enough to have any cachet. Well, it turns out, the Athletics organization has done an admirable job making the most out of what they had to work with. This is due to the efforts of the new team president, a guy named Dave Kaval. The previous public face of the Athletics organization was a guy named Lew Wolff, who decided to sell his stake in the team and leave the organization. Mr. Wolff was know by most fans of the Athletics as the guy who tried to move the team out of Oakland. So, one big change to improve the fan experience is not having to think about him, or worry about the team leaving town. In fact, for me personally, that’s probably the most important change, and the Athletics organization seems to think so, too. They have branded the Coliseum with signs and banners with the declaration “Rooted in Oakland,” with a background of iconic symbols of the city, like shipping cranes (you have to be local to “get” that one) and the stylized symbol of the oak tree that serves as the city’s official logo. And they’ve tried to lend some vintage cred to the place by naming the baseball field after one of the greatest Athletics, Ricky Henderson, so now it’s Ricky Henderson Field. They’ve also added a mechanized sign in center field in the shape of the words “Holy Toledo!,” which was the tag line of the great sportscaster Bill King. When they play the Star Spangled Banner, the words are washed over with a waving Stars and Stripes. And, in a stroke of genius, they have expanded the “interior” of the Coliseum to include an area outside of the physical stadium in the space between the Coliseum and Oracle Arena. They’ve named this area Championship Plaza, spruced it up with some artificial turf, picnic tables and, best of all, food trucks. Now, instead of being limited to the food and beverage concessions inside the stadium, you can get your food from one of the trucks and take it back to your seat. The difference in the quality of the food cannot be overstated. The prices are much more reasonable, as well. The concept of bringing the outside inside extends to what used to be called the West Side Club; now renamed “Shibe Park,” which harkens back to the days when the Athletics were in Philadelphia. There is an elevated patio area that adjoins Shibe Park and overlooks Championship Plaza; kind of like someone got the idea, “Hey, why don’t we open these doors and let a little fresh air in!” Shibe Park has also been upgraded from the old West Side Club configuration; it’s got a billiard table and a ping pong table. There is also a kid-friendly area on the patio with amusements such as a pitching cage, face painting, etc. Someone told me that Kaval is not the one who came up with all these ideas; that he got these ideas by listening to the fans. If that’s true, it’s consistent with the feel of the Athletics organization these days. For the longest time fans of the Athletics have been saying, “Don’t leave! We’ll support you! We love you! You can stay in Oakland!” It really feels like someone listened, and perhaps that’s the biggest upgrade of all. You see, Oakland is about to lose the Warriors to San Francisco. And the aforementioned Raiders have a deal for a new stadium in Las Vegas. Both teams will leave Oakland in a few years. It feels good to know that at least the Athletics are committed to staying. Now, as for the team itself, the season is still young and the Athletics have a way of outperforming and surprising people. A few years ago they beat the Texas Rangers (a far better team on paper) on the last day of the season to win the division. Then there was the “Moneyball” team with that crazy 22 game winning streak. They had a terrible record at this point in that season and they went to the playoffs. So, who knows what will happen. They’re a few games under .500 right now. All I know for sure is that the Athletics won both games I attended so far. Those Wednesday games; gotta love ’em. Yesterday the San Francisco Giants’ third baseman, Pablo Sandoval, was signed to a five year contract with the Boston Red Sox. I’m an A’s fan, but not a Giants hater like one of my friends. Still, how can I put this… Bwahahahahaha! Of course, baseball players move around to different teams all the time. But this one feels different. Pablo Sandoval, or Panda, as he is called, is one of the few baseball players that fans have come to associate with one team. He is (was) part of the Giants’ brand. It’s no wonder. He came out of the Giants farm system and has since helped them win three World Series Championships in the past five years. In 2012 he was the World Series MVP. But more than that, his nickname has become synonymous with the Giants, spawning an avalanche of kitschy marketing, including the ubiquitous panda hats worn by Giants fans at their games. 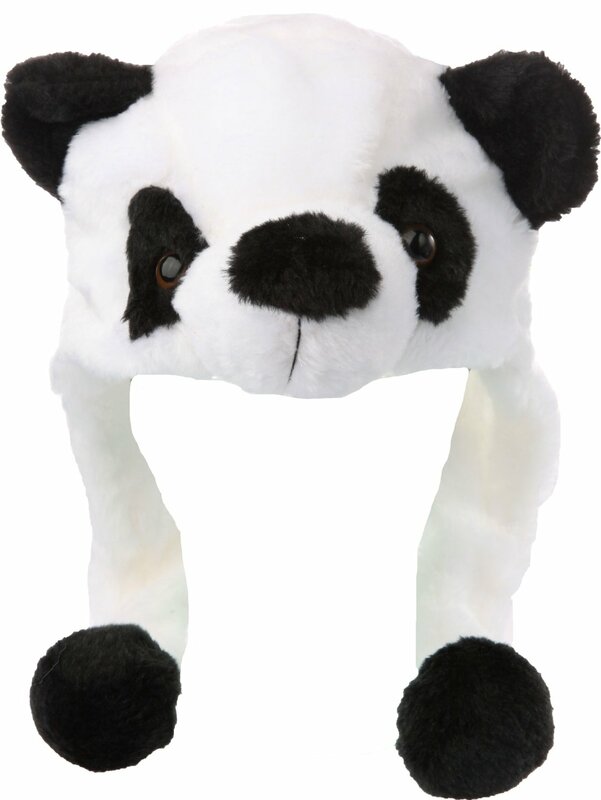 The panda hats are either loved or loathed by baseball fans. Baseball purists see the hats as a manifestation of everything that’s wrong with the Giants brand, from their gimmicky baseball stadium, to the players’ nicknames (Panda, Fear the Beard, The Freak, Baby Giraffe, etc. ), to the t-shirts (Let Time Smoke; Let Pablo Eat, etc.). Of course, in San Francisco, all the meta-level stuff just feeds the fans’ frenzy for what is, undeniably, a franchise on a roll. The Giants sell out every game. So, it’s very ironic that the Panda is now going to play for the Boston Red Sox, which are the very definition of baseball stodgy, with an uptight and unforgiving fan base. I sense that this is a bad move for Sandoval. If you read the comments on Red Sox Nation there is already grumbling about the Panda’s weight issues. He is a streaky hitter, so my guess is that he is about one slump away from feeling the wrath of Red Sox Nation. I think I can imagine how the Giants fans feel. The Panda had a chance to stay. The Giants had made a competitive offer, so the fans must feel like a jilted lover right about now. I wish the Panda well. He provided a lot of entertainment value, even if you’re not a Giants fan. Good luck in Boston, Panda, and say hello to Yoenis Cespedes when you get there.